Google’s own Home family is a set of smart devices that aims to be in the center of your smart home. 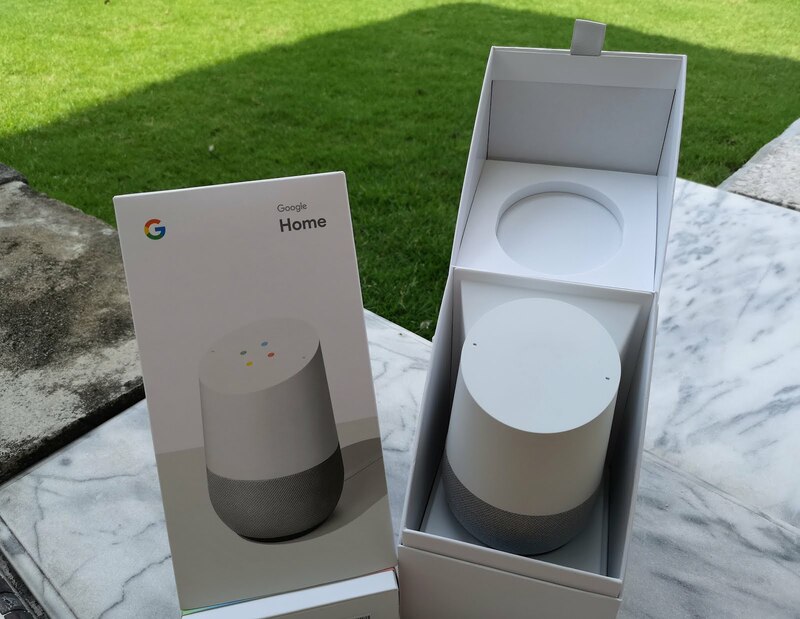 The star of the show, the Google Home, is priced at S$189 and boasts smart capabilities as its main selling point. It can handle commands from something simple as setting a timer while preparing your meal or getting the directions to a restaurant for dinner. It even integrates with the Google Assistant on the user’s device, forwarding the directions to your dinner for a seamless experience. Speaking of food, ordering food delivery is currently not possible but would definitely be a great addition to its capabilities. Although it would be tough to implement properly, being able to order McDonald’s or Pizza Hut without fiddling with the app or speaking to another person would be a lazy introvert’s dream. When it comes to playing music, there are some options available. Even though Google Play Music not available in SG, Spotify is a great alternative. Commands are pretty simple, just mention the artist or playlist and voilà, music to your ears. Speaking of which, there are no complaints for the audio quality of the Google Home. The bass is pronounced with songs sounding as great as a typical Bluetooth speaker of its size. Just avoid turning the volume to the maximum as the distortion becomes noticeable. I would recommend setting the Assistant Language to English (US) as this enables the functions that not available in English (Singapore). Do note that your experience would not be as Singaporean when doing so, and you will lose the ability for localized questions and results. 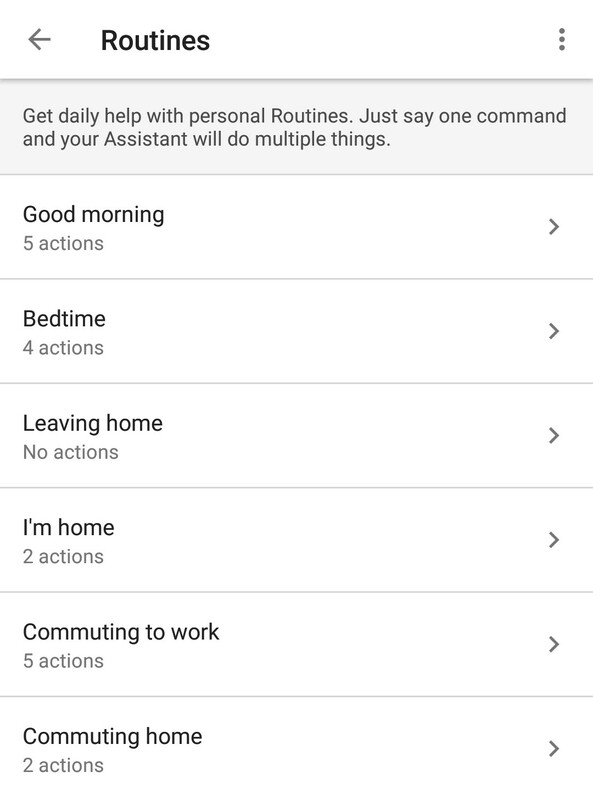 One of the missing feature is Routines, which allows for a set of pre-defined actions to be run in your everyday life. Just waking up? 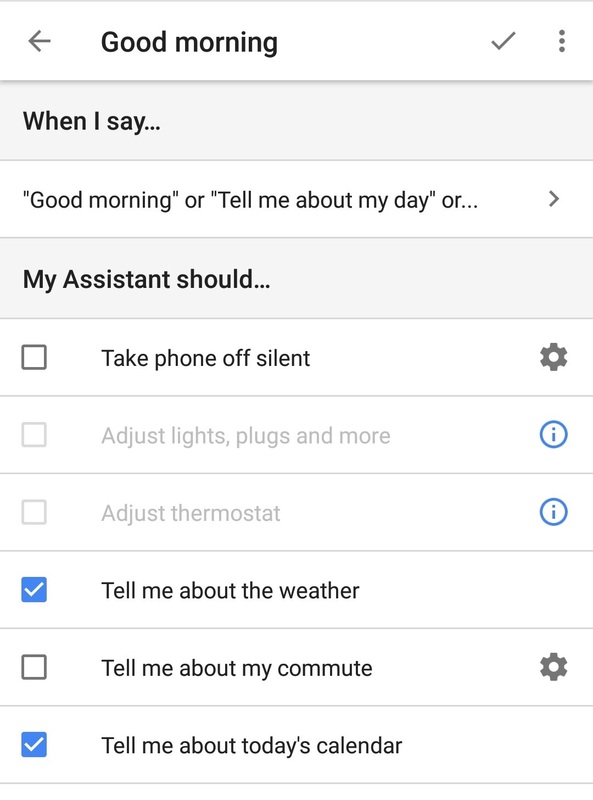 Get Google Assistant to turn on your smart lights and TV while reading you your day’s agenda. Going to bed? Have your smart devices turned off automatically and sleep with the sound of the ocean playing in the back. Repeating commands can become annoying too, especially if those are longer than a couple of words. That is where Shortcuts are introduced to help provide customized shortcuts to any set of command. 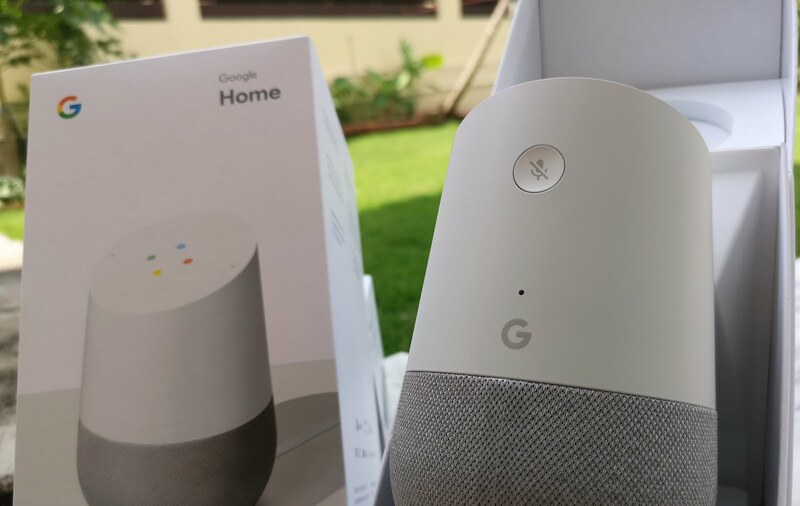 You can check out Google’s full list of features that Google Home can perform here. For more advanced users, you can even look at IFTTT or AutoVoice (Tasker) for a wider array of automation and tighter integration with other smart devices. 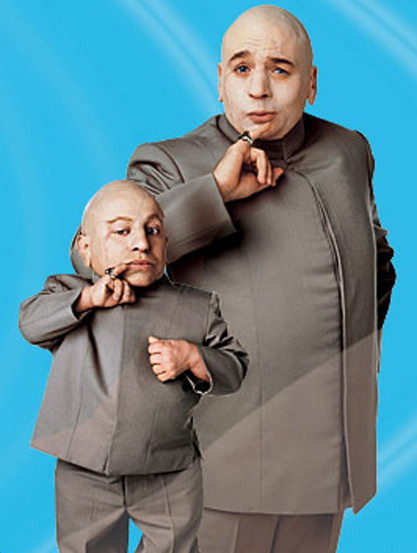 Like Mini-Me and Dr. 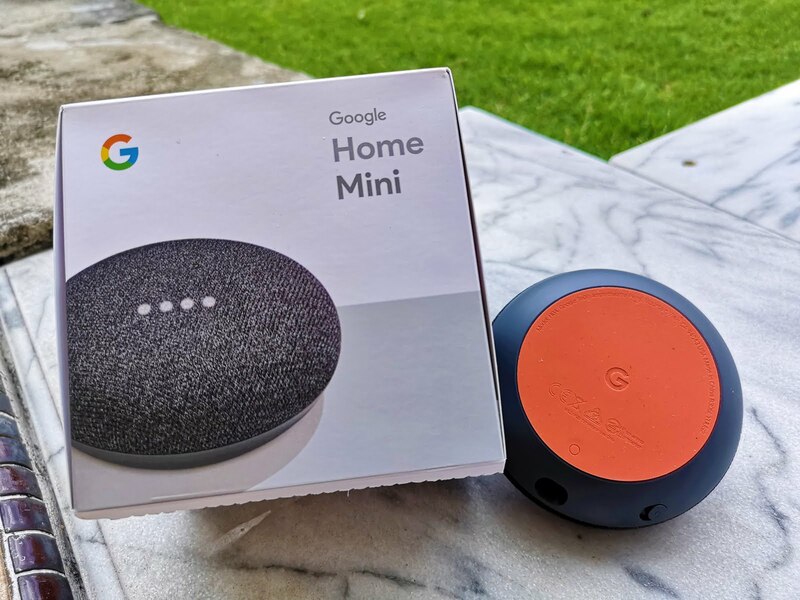 Evil in Austin Powers, Google Home has a smaller and arguably cuter counterpart – Google Home Mini. 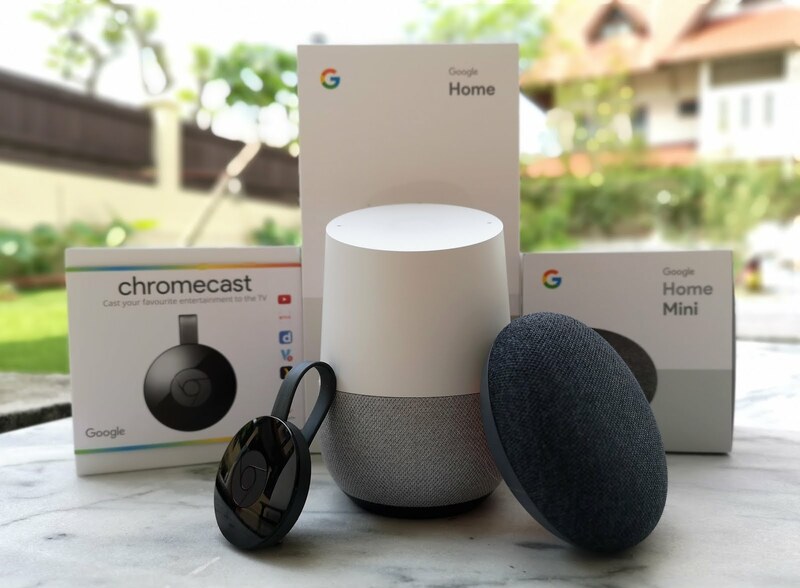 It can do what its bigger brother can – responding to questions and performing the same commands all the while costing less than half the price at S$79. There is just two drawbacks, sound quality and interactability. For starters, it is not only softer, but also has a lack of a bass-generating woofer (probably due to its size constraint). 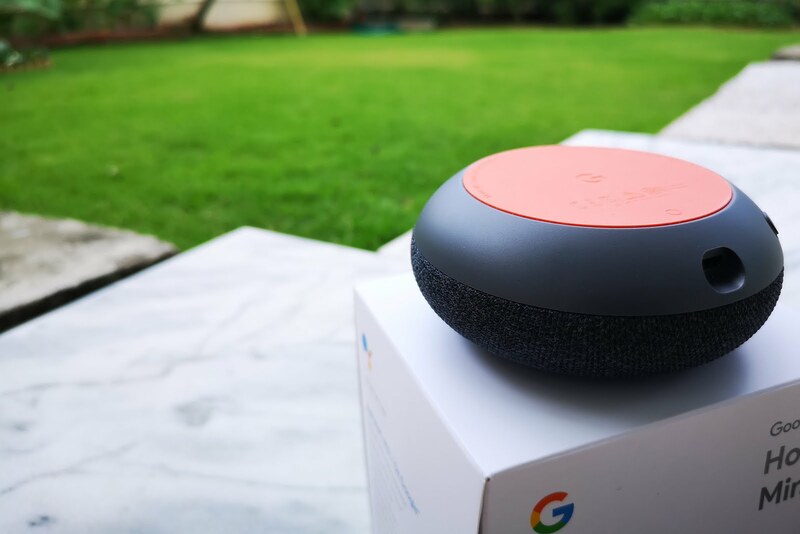 It also lacks the top touch-sensitive button (due to hardware fault) and the dual-microphone setup that the Google Home has. With just a single microphone, there is a reduced capability of picking up voices in a noisy room respectively. Despite its flaws, both devices are able to work together harmoniously. One may ask – “What is the point of having two devices that does the same thing?“. Well, having two separate units allows for a wider range of capturing voice commands, which is great if you plan to use it throughout your home. Not to mention, the additional device can act as a broadcasting speaker, e.g. telling your kids that its dinner time. Talk about supporting the lazy person’s lifestyle. 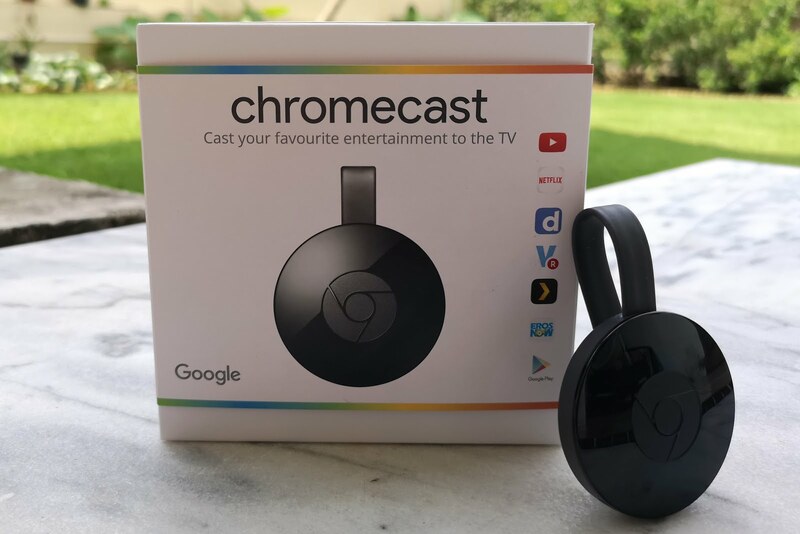 Unsurprisingly, videos can be cast to the Chromecast through Google Home. Two of the most prominent services available with voice commands are YouTube and Netflix. Instead of using a remote or the app on your phone, you can say commands like “Play Black Mirror on TV”, and Netflix will automatically play where you left off. This is extremely handy as everything is handled for you. On the other hand, things get a little worse off for their own service YouTube. Playing personalized lists like your own playlist is not possible, and you are left off with specifying which channel or artists you intend to watch/listen to. Not an ideal and personalized experience for video streaming. At the end of the day, the Google Home feels quite at home for the month that it has been used, figuratively and literally. Although using voice assistants felt quite odd initially, it has now become second nature when home. 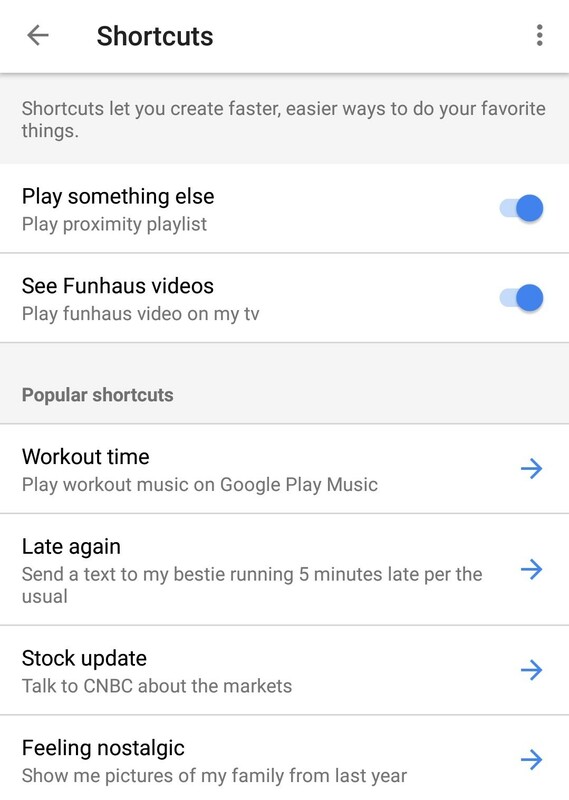 Waking up to Google Assistant’s voice and curated playlists on Spotify, together with hands-off approach in performing tasks, puts the assistance in Google Assistant’s name. With the only glaring issues being software-only, such as mistaking commands and half-baked integrations with some of its services, here’s hoping that Google can improve on them. Lightsaber battles with your friends in Star Wars: Jedi Challenges Now Possible!